2. New Shape MINI / CLUBMAN / COUNTRYMAN Monsoon Heavy Duty Car Cover for Outdoor use. 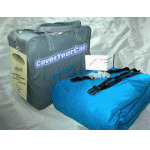 BMW Indoor & Outdoor Car Covers. A selection of Quality Fitted Car Covers for your BMW, from our 4 Layer Stormforce outdoor covers to Softech bespoke hand made to measure indoor car covers. Different versions of this cover are available for the various models of BMW. 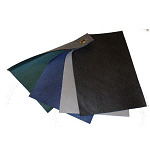 Select your version from the drop down box and we will supply the best tailored fitting cover. See details BMW CIELO Waterproof & Breathable Outdoor Bespoke Car Cover - Fully Fitted, made to order. See details GUANTO Stretch BMW Indoor / Outdoor Bespoke Car Cover - Fully Fitted, made to order. See details MINI / CLUBMAN / COUNTRYMAN CIELO Waterproof and Breathable Car Cover for Outdoor Use. See details New Shape MINI / CLUBMAN / COUNTRYMAN Monsoon Heavy Duty Car Cover for Outdoor use. See details New Shape MINI / CLUBMAN / COUNTRYMAN STORMFORCE 4 Layer Waterproof and Breathable Car Cover for Outdoor Use. 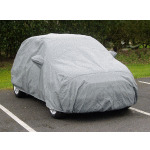 See details New Shape MINI / CLUBMAN / COUNTRYMAN Voyager car cover for indoor / outdoor use. See details New Shape MINI ADVAN-TEX Waterproof & Breathable Outdoor Bespoke Car Cover - Fully Fitted, made to order.